It takes a team to accomplish a goal. Our team consists of three ladies who each bring their own flare to The Market Lady Project. Our Video Producer, Kelsie Young, is a sophomore Agriculture Communications major at Missouri State University. She attended Aurora High School where she took an interest in media productions and agriculture classes, as well as the FFA. In 2005, Kelsie and her family started a small cow-calf operation. Through the FFA, Kelsie quickly found a passion for agriculture. FFA brought her many opportunities. She has traveled Missouri doing leadership workshops and has been an advocate for agriculture as a State FFA officer in 2009-10. Kelsie even had the opportunity to travel to Taiwan, for an agricultural tour, to further her learning of the industry. 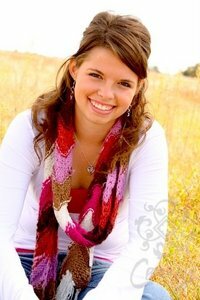 She has a passion for educating others about agriculture and cannot wait to help spread the word of agriculture. Kelsie is interested in media productions as well as public relations for a future career and that is what brought her to The Market Lady Project. I, The Market Lady, held internship interviews to find a person that fit our project. After talking with Kelsie, it was clear where her passion was and that she would make a perfect fit to our team. Kelsie has many years of experience filming and editing videos and her lively personality works well with our team. Look for Kelsie out and about while shooting videos across the Ozarks this year!